My friends I am a finisher! 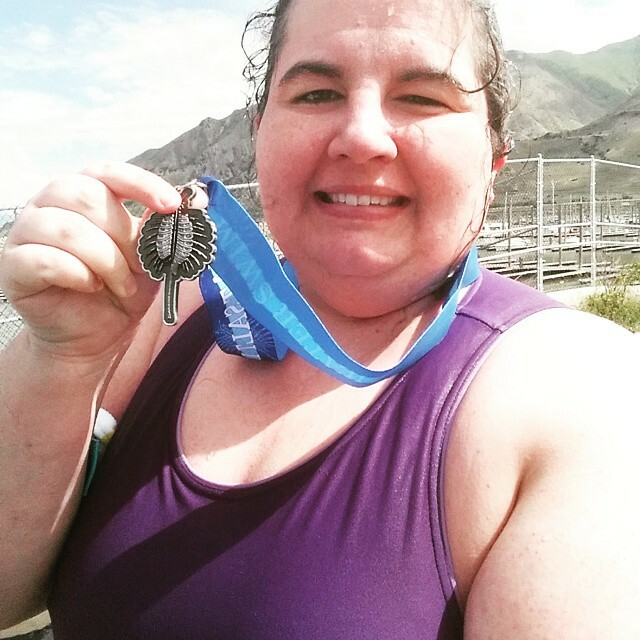 Today marks my 4th finish at the Great Salt Lake Open Water 1 Mile Swim! This year it was my own fault I was nervous because I hadn’t trained that much. 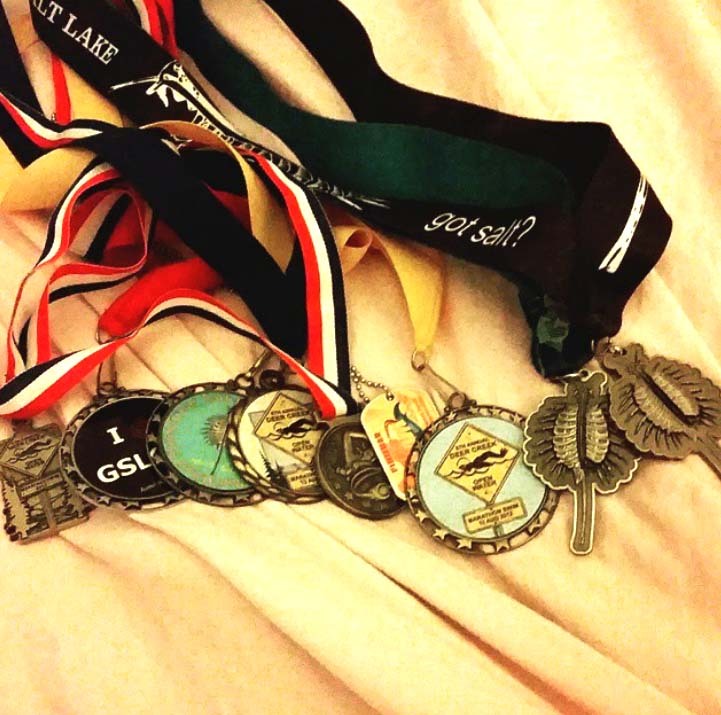 It had also been since the last GSL swim that I had swam in a race and only twice in practice. A side of me wondered if this would be the year where I wouldn’t be able to pull it off. I really did. 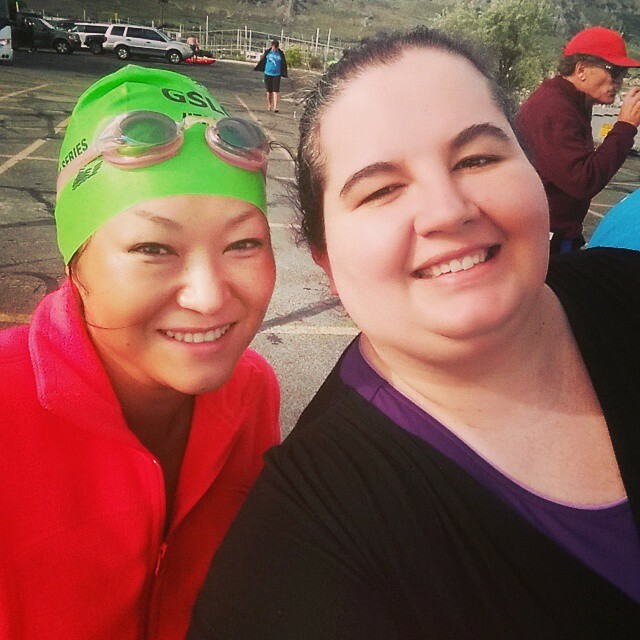 Luckily my friend Etsuko decided to swim this year and she was so great to drive and get me out the door in the water! All my friends are amazingly supportive and put up with my worrying. Thanks guys! Last week I was really worried because my sleep had been especially bad. Not getting to bed till 3 or even 4 and then settling with 4 hours of sleep or less was brutal. I was afraid I’d show up to the race with only 3 hours of sleep! But then the strangest thing happened. All of the sudden this Wednesday- Friday I went to sleep earlier and I found I was waking up earlier (very unusual for me). 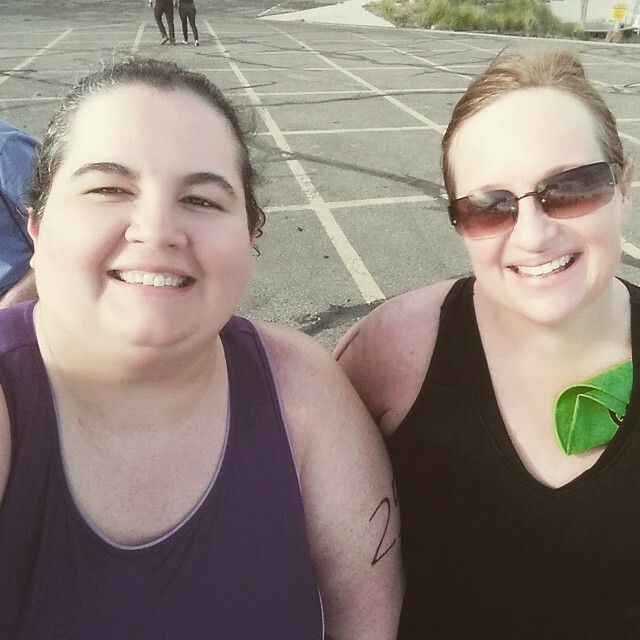 It ended up being no problem waking up at 6:30 for the race which I thought was a mini-miracle. It felt very old-school at the race with a lot of faces I haven’t seen at races for a while. 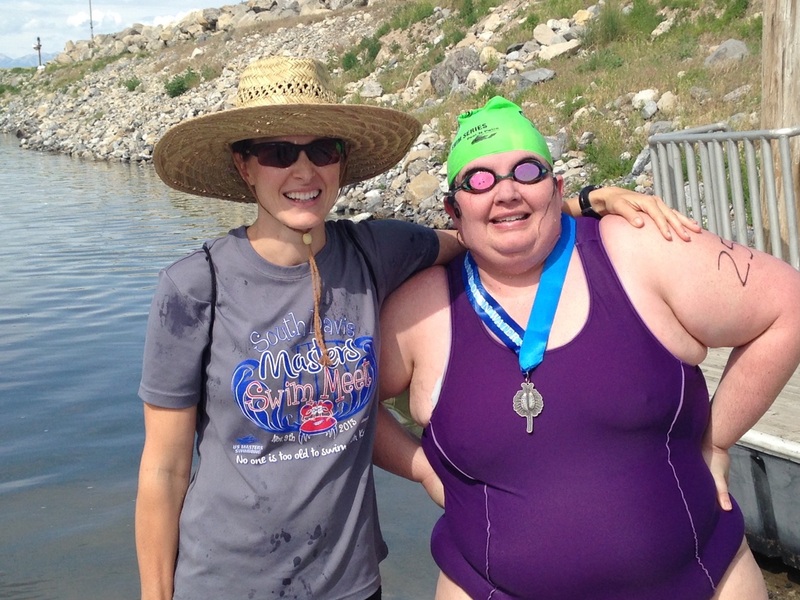 My friend Kate was there and she totally rocked her swim. She finished 6th in the one mile! The oldest swimmer in the one mile was 63! That’s what is so great about this sport. You can participate at most any age. What a blessing! It was a little nerve-wracking because the weather report was calling for storms starting as early as 9 am. We had some strong wind but nothing that stopped the race thank goodness. This year because the water was so low we did not do the straight shot to the Black Rock beach. It was a loop starting on a beach and then looping some buoys and heading back to the marina for the finish line. At first it felt a little bit like Utah Lake because it was so shallow. We went way out practically to the first buoy on feet before beginning to swim. This time I decided to break up the swim in 50 stroke batches which was good because the wind was very strong. The first segments were definitely the most difficult as the wind was pushing us around pretty strongly. I ended up doing a lot of breaststroke so I could keep my eye on the buoy especially at that beginning. The problem was I had my eye on the wrong buoy! So, I ended up backpedaling and doing more work than I needed to do. Stupid me! One of the advantages to being last is I get a lot of paddling support, meaning the kayakers are there to kelp and encourage me. This is very motivating and their kayaks give you something to sight (which I am not very good at anyway). Because I was mixing up the breaststroke and freestyle I didn’t worry too much about sighting on the freestyle but it is something I am working on. The kayaker, my friend Sarah, was great, encouraging me to stop less and the last 2 segments I got with very little stopping. She also helped me get some water and other assistance. Thanks Sarah! Open water swimming is the strangest thing because the buoys really do feel like mirages, that you are never going to get there. It seems like you are on a swim treadmill sometimes and not getting anywhere. The key is to not worry about anyone else and in the words of Dory “just keep swimming”. And that my friends is what I did- I just kept swimming. I didn’t give up. I pushed on through and I am a finisher!! Wahoo! This makes it the 8th official (91th unofficial) race I’ve swam and finished in. I am proud of what I have done. Proud and grateful. I promise if there is anything in your life which you want to do but fear you can’t- go for it! If I can do it you can too. Surround yourself with good people, prepare more than I did and go for it! What have you got to lose after all? One day it could be you looking down at your medals reminiscing about every last race they correspond with. What a blessed person I am. Thank you Salt Lake Open Water and thank you for supporting less than perfect swimmers in the club. I feel so blessed and now on to Bear Lake and Deer Creek! (Sorry if this post is a little disjointed. I’m super tired from the race). Great job on the swim and great write up! Pingback: Liebster Award Drew’s Movie Reviews | Reviewing All 54 Disney Animated Films And More!